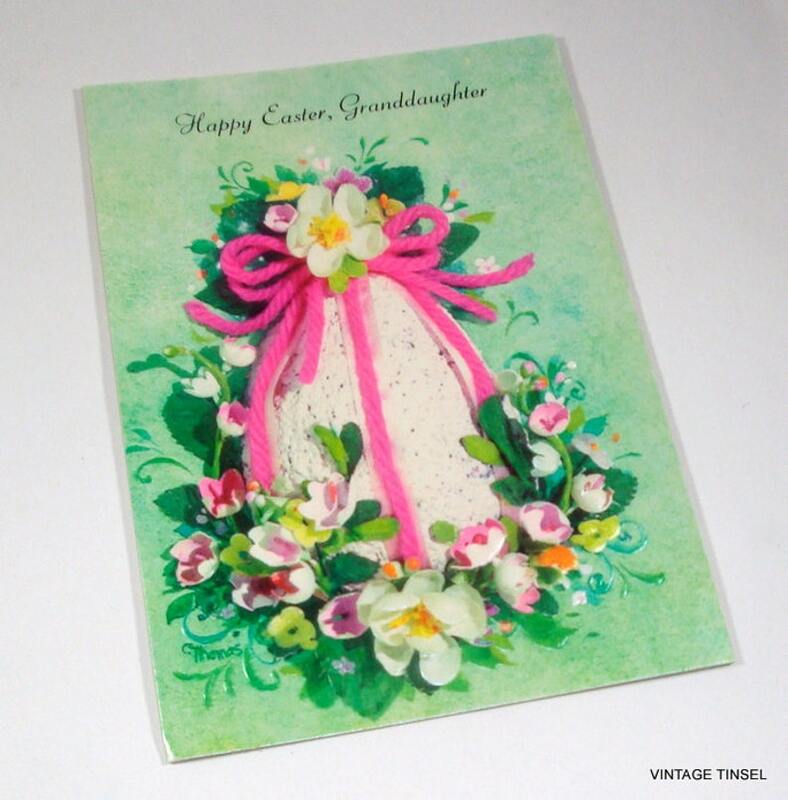 A bright and cheery retro Easter card to use on a scrapbook page or in your card making projects. Gibson card. Design is embossed. Signed inside in ink, otherwise in good usable condition. No envelope. Measures 6 1/2" x 4 1/2". More Easter greeting cards? I can usually ship several for one low shipping cost. Just convo for a quote.